I scooped up a bag of Double Nutz and Coconut Chews (bulk trail/snack mix) from a local market. This mix was likely from SunRidge Farms (Royal Oaks, CA), a company specializing in organic and natural food (fruit, nuts) products. 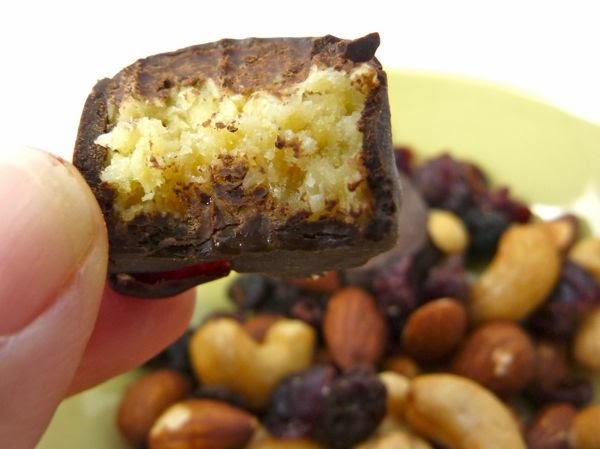 This Double Nutz mix contained cashews, almonds, dried cranberries and cherries, and generous dark chocolate covered chewy coconut squares.